Hovers, occasionally does a back flip midair. Can be found at The Dry Hills, alongside Witchwing Harpies. It took what must have been 50-70 battles for me to get a rare of this but I wasn't leaving without one. I ended up with an H/B in the end. I generally like the pet though it seems like it might be super weak against most of the stronger types. I got a BB rare today, about my fourth fight using Lord Woofington to bring its health down to 1 and then I threw the cage. Very good looking pet. Contrary to the battle info here and wowhead (and my addons), there are H/S breeds of this pet. Can confirm that they are still around post legion launch, logged in at 5:24 ST today and there were a few flying around! 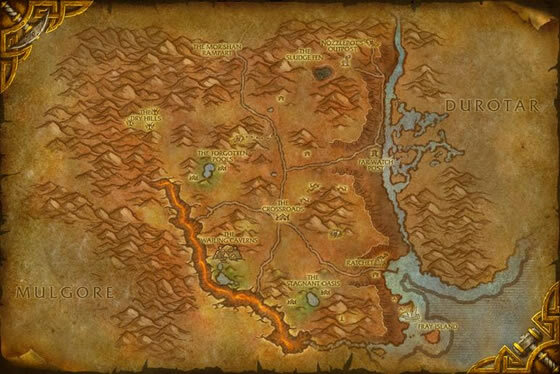 I believe these were taken out of the game with Legion. I have been looking for MONTHS at any day and night time, and I haven't found ONE. Too bad Blizzard messes up like this. never thought i would find one. looked at pretty much any time except in the morning. was up at 430 server time and nothing. came back at 7am server time and there were a bunch of them. all poor, all either health or balanced. This was the only pet in the Northern Barrens that I didn't have. They were never there when I went. Sunday night (10:00 EST) I decided to get serious and sent my main and 4 mage farming alts (5 servers in all, no cross-realm overlap). And I saw a grand totally of 3. I was ok with the 1 UC I bagged, but I parked the toons there to check in the AM. Today (7:30 am EST) I saw tons of them on all 5 servers with at least 1 R each server. (Got two on a server.) So get up early to hunt these beauties. After reading the comments I was skeptical about finding a rare. First one I encountered was a rare quality. Ended up killing my lvl 3 pet (Roach) and I got lucky using a lvl 25 Pandaren Water Spirit's Water Jet decreased by 25% from the Harpy. If only they all went so smoothly! 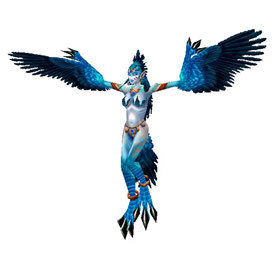 Since they're adding a new harpy model in legion will this pet receive an update? Just got this one in a rare quality today (10/25/2015) in The Dry Hills area in Northern Barrens. I used a lvl 25 battle pet to one shot the non rare quality harpies until I got my rare. Took about 20 minutes and they respawned fairly quickly. The area was full of harpy younglings every three or so times I got there - until I tried to kill the bad quality ones in hopes to get a rare to spawn. It was very stupid because they really do not respawn fast. Didn't help me at all and now any others trying to get the pet will not find anything. :( Much better to just come again later. Have been looking for a rare for over 12mons. Usually only found poor & commons. Maybe 10% of the time found an uncommon. Went in this morning, on the 4th battle caught a rare. Needed 1 more win to level up a worg pup. Took the precaution of releasing the green dupe of the 1st capture. Engaged next harpy I encountered expecting poor, & practically fell off my chair when it turned out to be a rare of the 2nd breed available. Captured it & hearthed out. There's a few around its 4:27 server time first time looking. All poor quality but one uncommon. Just caught one, 3:30 AM server time, Hyjal server. I've been looking for weeks. There were three up. I left the other two for those who might need one. First one I caught was a rare. They only get more beautiful as they age.